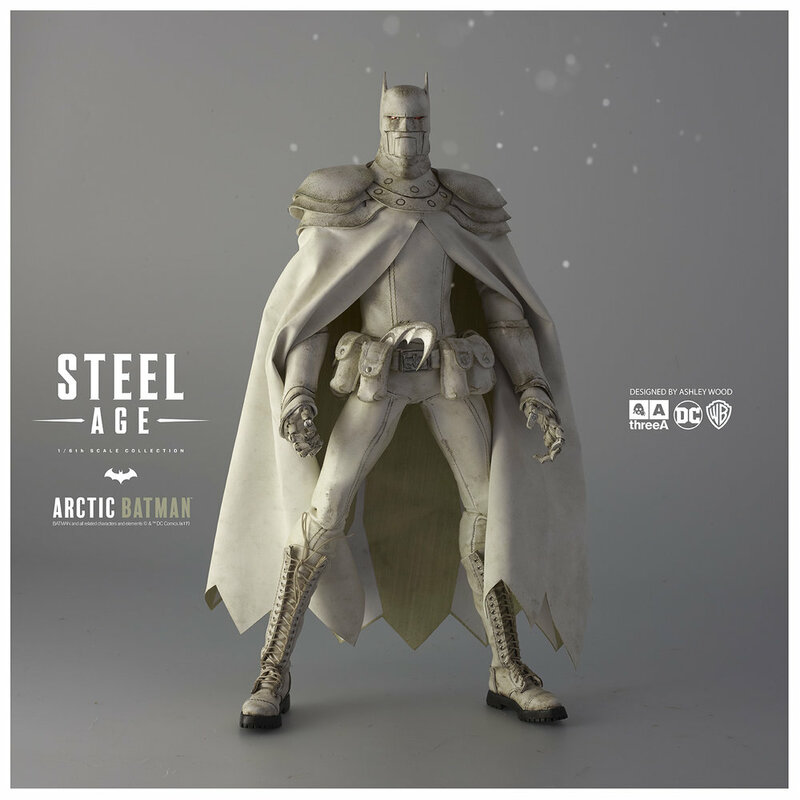 3A’s Steel Age Arctic Batman Action Figure has incredible articulation, including individually articulated fingers. 3A makes some pretty great figures. High quality, unique, and definitely more on the ‘collectible’ side. 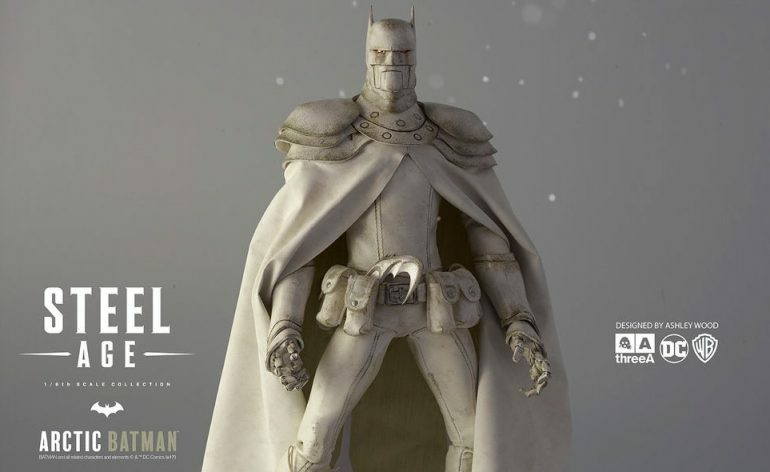 And back in 2015, they revealed their first DC Comics figure, which was a 1/6 scale robotic Steel Age Batman action figure. The figure, designed by noted artist Ashley Wood, was imagined from a world where all the superheroes were gone, and robotic versions of them had risen to fill the void. 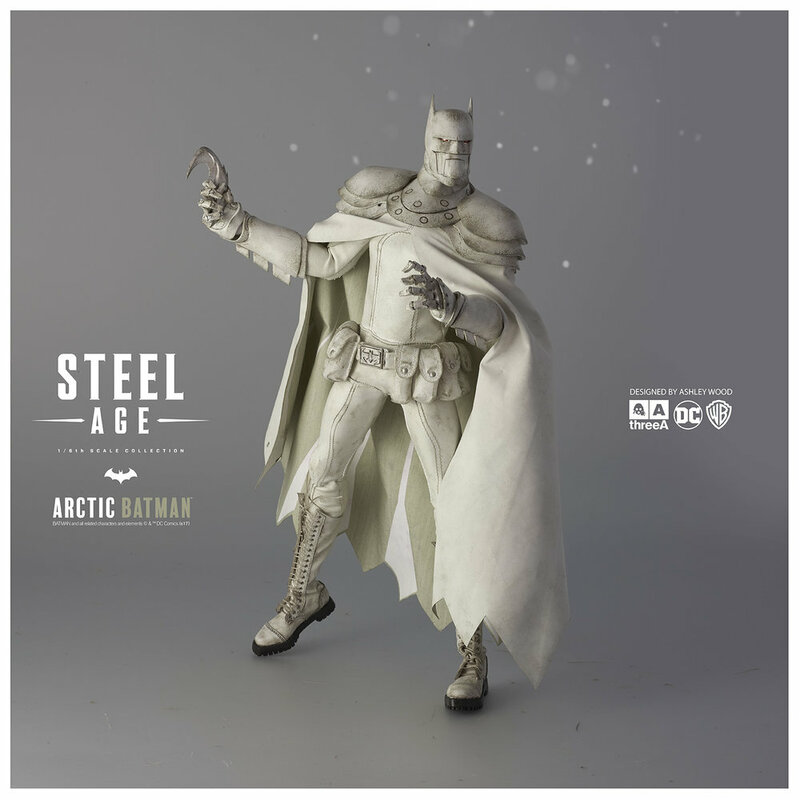 Well, 3A has revealed that on February 10th, they’ll be offering an exclusive version of that original figure, a 1/6 scale Steel Age Arctic Batman action figure. 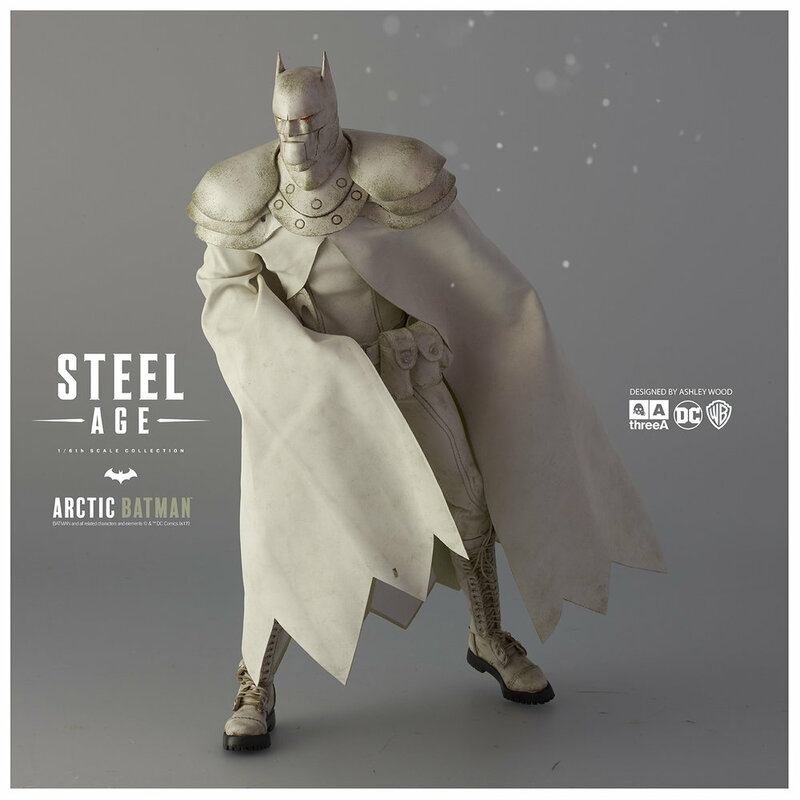 The re-release features the same sculpt as the original, but with an all white arctic style paint job. So let’s go over the specs from the original release, so you’ll have an idea of what’s being offered. 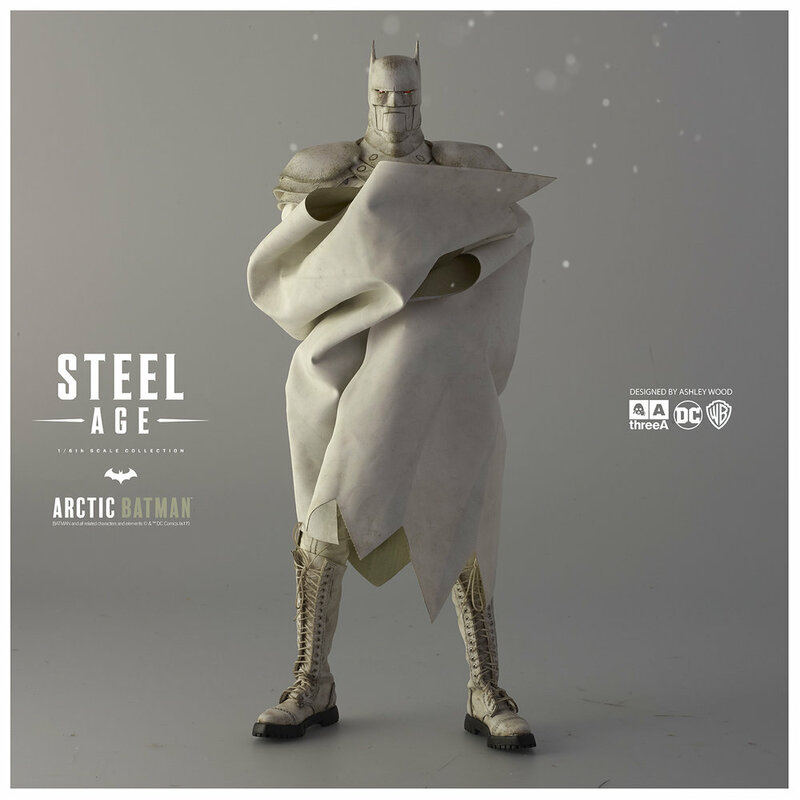 How Tall Will the Arctic Bat Be? 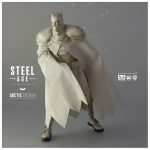 The figure is 1/6 scale, so it will be 13.5 inches (35 cm) tall. 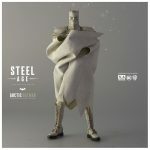 In addition to having a highly detailed sculpt, the figure will feature incredible movement, with over 50 points of articulation, including segmented neck armor, and individually articulated fingers. What Accessories Are You Getting? LED Illuminated eyes, powered by 3 x AG1 batteries, which are not included. A faux leather tailored outfit with a soft PVC iconic scalloped cape. 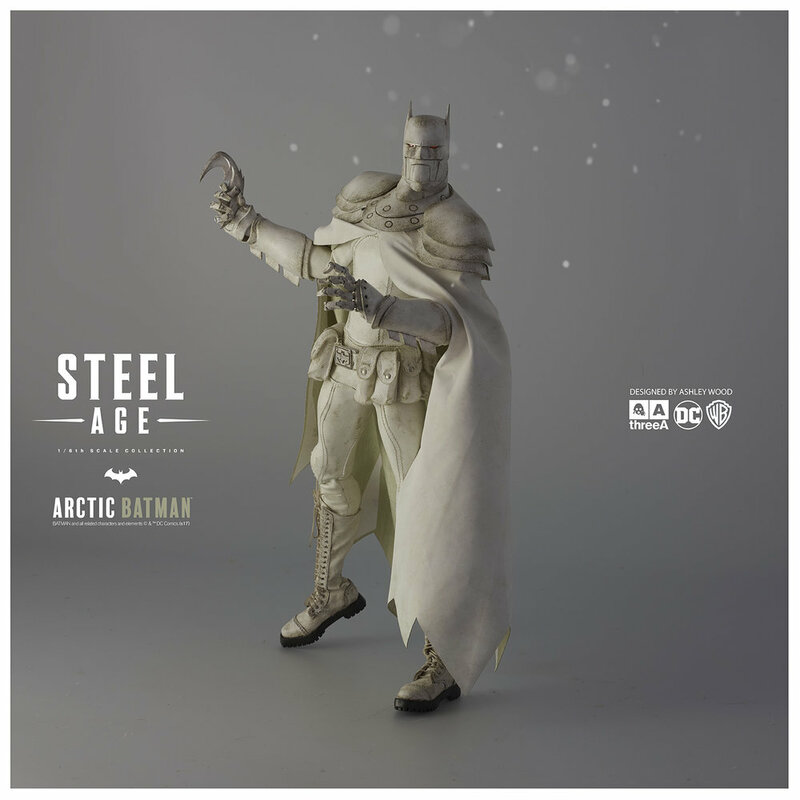 How Much is the Figure, and When Will it Be Available? 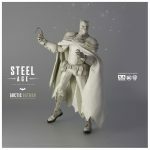 3A is pricing it the same as the Steel Age Batman, at $240, which includes worldwide shipping. It will be available starting February 10th, 2017, exclusively through 3A’s webstore. 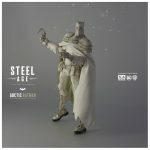 There’s no word on when the figure will be shipping, though it’s possible they may be available starting on the 10th, as the figure might be a repaint of existing figures.